The Gang's all here! 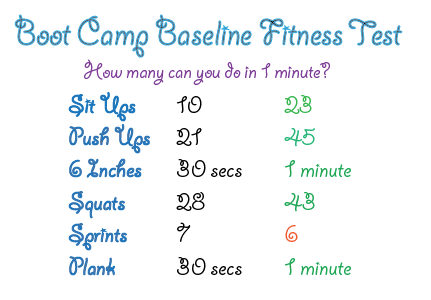 FitBloggin 2012! Hello everybody! I am home from Baltimore and slowly getting back into the routine. First things first – I’m lucky to be able to travel as much as I do, but MAN, do I miss cooking when I’m on the road! I just made a delicccccious wheat pasta with a charred broccoli and onion sauce, mixed with lean bacon bits and small mozarella pearls. Super tasty, fairly light (if I keep the serving right!) and homemade. Best of all, I managed to scrape that together before going to the grocery store. Whew! Laura from Joyful Shimmy learned to love her body by getting naked! 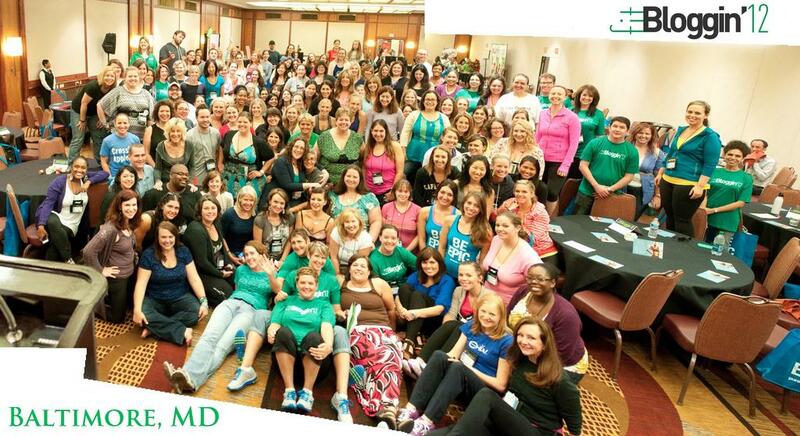 Friday night at FitBloggin’, we had an ignite fitness keynote session. What this meant was instead of the usual boring 1 hour keynote, there was 15 speakers, each broken up into 5 minutes with 15 slides. 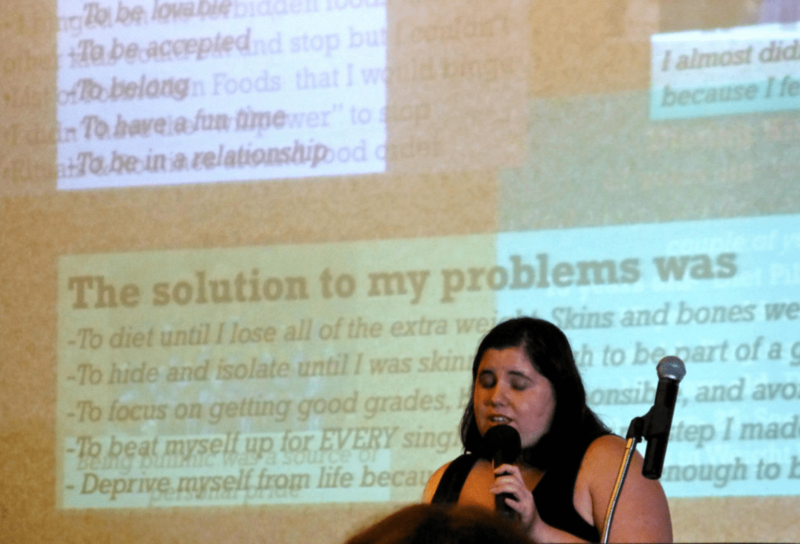 It was fun, fast-paced and kept us entertained – especially with stories like those from Laura, of Joyful Shimmy, a recovered bulimic who learned to love her body through burlesque! I loved Laura because she was actually the first blogger I met while decorating my badge, and she was friendly, approachable and funny – a perfect introduction to my first fitbloggin’ ever. Image from JanetOber.com. Click to read her story and buy her book. Hank was sick of being the fat guy - so he took charge and shed over 100 pounds. 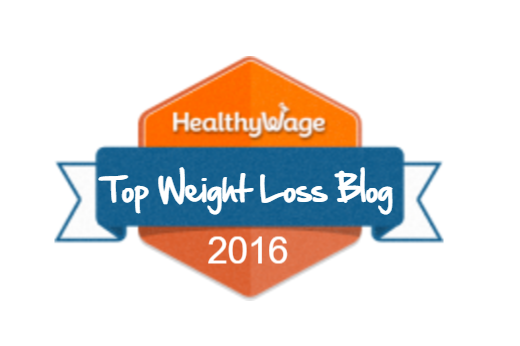 There were also light and humorous presentations, like Hank’s, from the Business of Losing Weight. 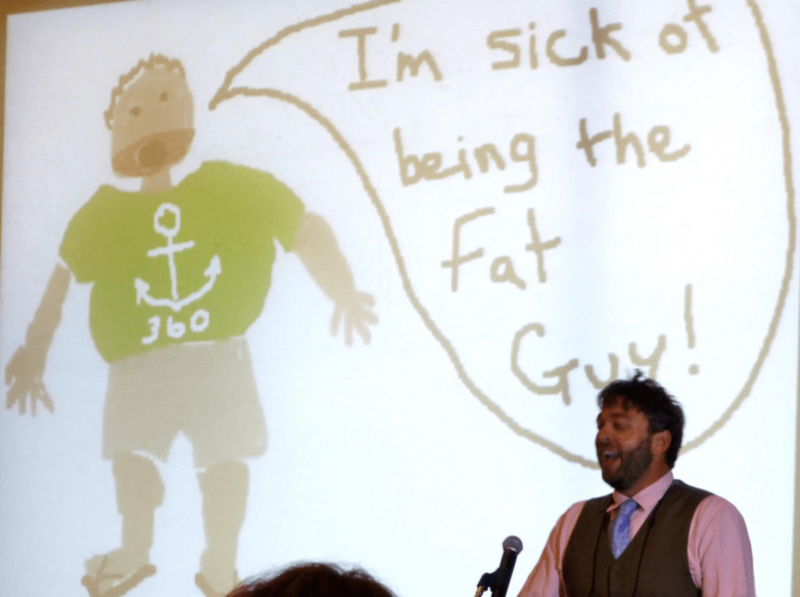 Hank has lost over 100 pounds, and to illustrate his points, he did each of his slides in paint. Check out this awesome artwork – a valiant effort, right?! I don’t think I could do that in Paint! 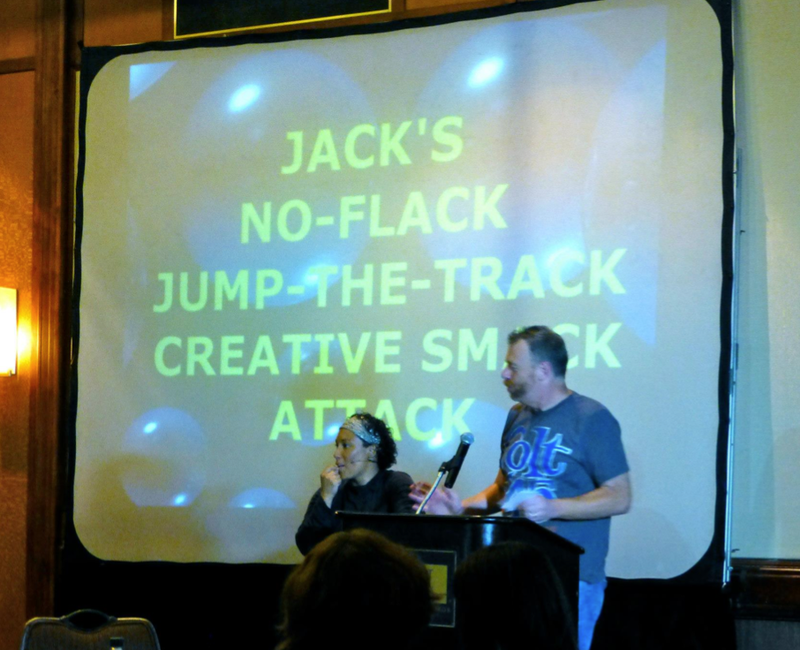 One of the show stealers of the night was definitely (and not surprisingly) Jack Sh*t. Jack Sh*t is well known in the weight loss blogging community for his offbeat and hilarious blogging style. Jack put together a funny and random slide show with things like slides of iced tea, and things that spark his creativity… including Mentos. Towards the end of his presentation, he magically procured a 2-liter bottle of coke from behind the podium, and dumped in two mentos. It was awesome, and was like the Ozzy-Osbourne bat-eating event of FitBloggin’. I raise my hat to you, mr. gettin’ fit. There were so many other amazing speakers this weekend, but if I keep going, my jet-lagged body will never have time to sleep! Stay tuned tomorrow to find out about my Twitter Community live blog, and also, which fantastic fitbloggin’ folks I met and chatted with.